In our previous article we have discussed the Spiritual Birthstone of Libra – Tourmaline. We have also discussed some notable metaphysical characteristics of this sign, so you may want to check that article in addition to the following considerations. The Sun enters the constellation of Libra (the Seventh House of the Zodiac) about September 23rd, marking the start of the autumnal equinox. It completes its stay in this sign approximately on October 22th. Libra is ruled by the planet Venus. 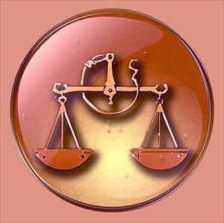 The symbol of this zodiac sign is well known to many people as Libra is represented by a pair of Scales. This constellation is very difficult to identify in the night sky, as it appears on the meridian about midnight in June, and is located somewhere between the Virgo on the West and Scorpio on the East. Libra is the first of the Autumn signs, and when the Sun enters into Libra, there is an established balance between the length of days and nights. This symbolic equilibrium could be a practical reason for the name of Libra, although the symbolic meaning is likely to be more profound. Interestingly, Libra was not included in the earliest Zodiacs. It is believed to have been known to the Egyptians as Zugon, or the Yoke, where only the beam of the scales was represented, typifying the Nilometer, the instrument by which the inundations of the Nile were measured. According to some Arkadian writings the name of the seventh month was Tulku, meaning Holy Altar, and it is interesting to note that both the Altars of the first and second temples were devoted to the seventh month, which has afforded ground for the assumption that the symbol for this epoch took the form of an Altar. It is also a very characteristic feature of the sign of Libra that this is the only Zodiac House whose symbol is not based on some living paradigm. Individuals born under the influence of Libra are noteworthy for their analytical abilities. They are able to mentally weigh and balance all things in a sense that none of the other signs seem capable of doing. Because of their extraordinary intuitive and perceptive qualities, Libra individuals are very susceptible to the thoughts and mental concepts of others. They can often sense the feelings and intentions of other people on a subconscious level, even before a word is spoken. In their metaphysical understanding of the world, they have an individual liberty of thought and are often the least exclusive and most tolerant of all signs. They are great mediators capable of drawing people together in the bond of mutual understanding and love. They, however, will never force their convictions or opinions upon others if they are not asked to do so. Libra personalities are very skilful in all sorts of intellectual pursuits and have many interests. However, they are often tormented by their indecision, a deficiency to which they are very much inclined. They tend to live on from day to day, contemplating changes but submitting to the burden of circumstances and environment for years, until something occurs that shakes up the ground and forces them into new conditions. The planet Saturn has its exaltation in the House of Libra. Saturn diminishes the influence of the natural ruler of Libra, Venus, which partly results in moodiness and dissatisfaction, preventing the overall progress of this sign. 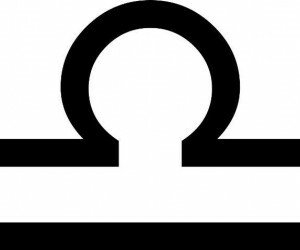 When not slowed by the adverse influences of planet Saturn, and when armed with the proper education needed for professional advancement, Libra individuals are capable of attaining to the front rank. They are impartial and studious and can perform labor vigorously for others. There is an inclination to accept fate as it comes. To be successful they should be in partnership, or engaged in a profession that is not monotonous. They work best in accordance with their moods and when in harmony with their associates and surroundings they can be great Musicians, Artists, Singers, Poets, Lawyers, Composers, Designers, Botanists, Librarians, Landscape Gardeners and Florists. They can adapt to do even any type of mechanical and commercial business. 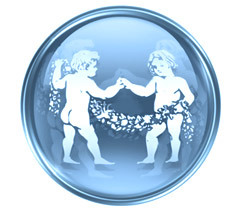 Having a strong inclination for fellowship and friendship, the Librans, above all the other Zodiac Signs, are best suited to run in double harness, their selflessness taking the form of being happiest when confirmed in their habits and tastes by those of whom they are fond. They are the least suited of any of the astrological signs to live alone, which does not mean that they do not enjoy in quiet surroundings far from the noise and conflict of civilization. Even in old age they never lose their interests, although they prefer to avoid social norms and emotional excitement at all times. In love and marriage relations Librans are attached and devoted. They are able to live nicely with any other zodiac sign, but they are most in harmony with those born in Gemini, Leo, and Sagittarius. On the other hand, Cancer and Capricorn are the least harmonious choices. 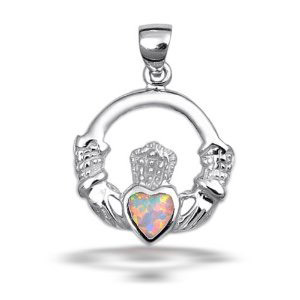 As a rule Libra personalities are courteous and polite in disposition, always granting a favor gracefully. The temper of Libra is quite smooth. They are usually lenient to the faults of other people, but when serious approach is needed they can be cutting and sharp. Inclined to be choosy over small things, yet Librans have a tendency to lose and misplace their belongings. But, as they have great adaptability and resources, they rarely feel any inconvenience. The health problems of Libra individuals are kidney troubles, pains in the back, afflictions of the reproductive organs, varicose veins, indigestion, headaches, depression and loin trouble. Quiet surrounding and plenty of fresh air are their best medicines.